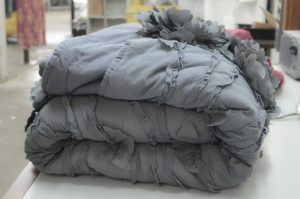 We process bulky items like comforters, sleeping bags and parkas. In most cases, we soak the item using non-chlorine bleach, degreasers, and odor removers as appropriate to restore the item to original condition. We hang dry to avoid clumping of the filler.